Super Smash Bros Ultimate is finally here, and it boasts the largest roster for the series so far. There are 74 fighters to try out at launch, with more planned for DLC. To help you get reacquainted with all of them, we’ve been putting together character guides for every single one. In this Super Smash Bros Ultimate Olimar Guide, we’ll be detailing Olimar. Specifically, we’ll be taking a look at the changes that have been made since his last appearance. There will also be some info on Olimar’s Final Smash, as well as a look at what the alternate Costumes are this time around. Olimar is back for Super Smash Bros Ultimate, having last appeared in Super Smash Bros Brawl on the Wii. A lot has changed since then, so veteran Olimar players will need to study up and learn some of the new features. We’ve included some key info below. 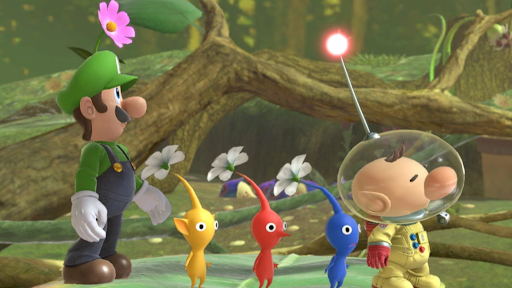 Coming in from the Pikmin series, Olimar is definitely one of the stranger looking fighters in Super Smash Bros. Ultimate. In the table below, you can find a complete moves list for Olimar. 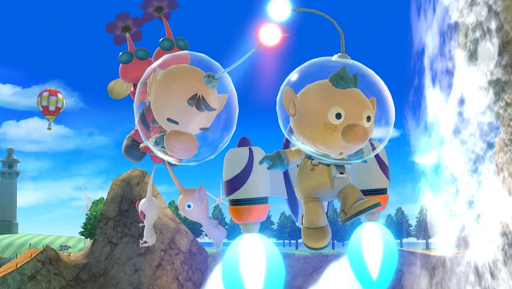 Some of Olimar’s animations have been altered including jumpsquat, dash, whistling, Up Throw, and Victory. There have been some minor tweaks to Olimar’s Final Smash, which we’ll detail later on. Olimar’s helmet can crack if he takes enough damage. 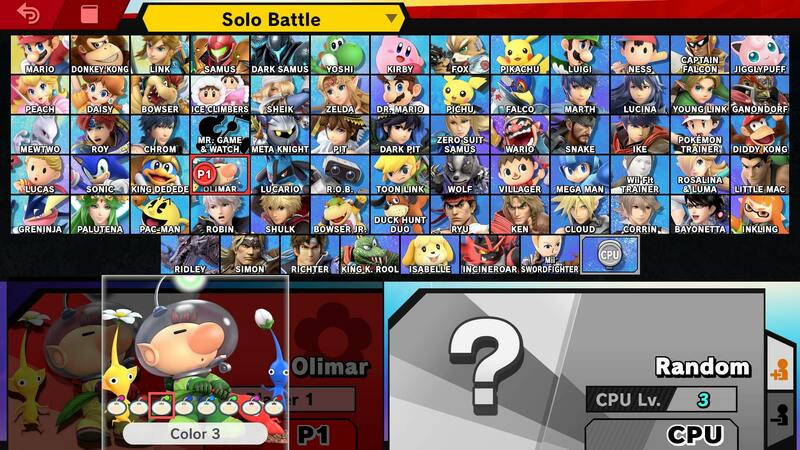 Just like the rest of the Super Smash Bros Ultimate roster, Olimar comes packed with some alternate costumes. They are mostly color swaps of his spacesuit, in yellow, orange, green and grey variants. Alph is also available as an Alternate Costume, with blue, green, pink, and orange versions. You can check out Alph in the image embedded above. Olimar’s Final Smash is still End of Day in Super Smash Bros Ultimate. It involves Olimar climbing into his ship, flying up high and then speeding back down to explode on the stage. The move as a whole is much faster than it was in Brawl, you can check it out in the video embedded above. That’s all the details we know about Olimar in Super Smash Bros Ultimate. We’ll be updating this guide with more details as we get them. For more info on other aspects of Super Smash Bros Ultimate, head over to our Super Smash Bros. Ultimate Guides hub. There’s trailers, a look at the Ridley amiibo, and more.